The budget-oriented offerings in the smartphone industry are probably what draws emerging markets to new handsets that, at the same time, still offer cool features as well as capable hardware to boot. Apparently, Lenovo wants to further its position in this spectrum by unleashing its latest affordable smartphone, the Moto E3 Power in India. 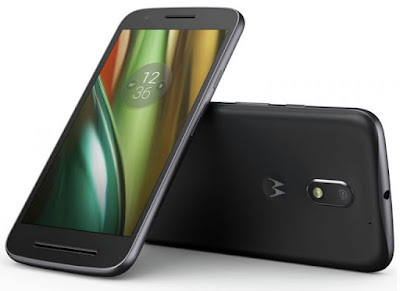 The Moto E3 Power feature a 5-inch display with HD resolution. It’s equipped with a MediaTek MT6735p chipset that features 1.0 GHz Cortex-A53 quad-core CPU and 550 MHz Mali-T720 MP1 GPU. It also comes with 2GB of RAM, as well as 16GB of internal storage that you can expand via micro SD card slot. In terms of photography, the Moto E3 Power packs an 8MP primary shooter with LED flash as well as a 5MP front-facing selfie shooter. It will also run Android 6.0 Marshmallow out of the box, and its longevity relies on its 3,500mAh battery that also supports fast charging. Furthermore, it even comes with a splash-proof nano coating that can add up to the overall durability of the handset. The Moto E3 Power from Lenovo will retail for INR7,999 ($119) in India, and it will only be available via Flipkart. No word as of the moment if Lenovo will bring it here.